Cabaret rocker Drew Downing returns to The Butterfly Club for a special Midsumma season. Downing performs as fictitious 60s rock star, Rebel, exposing his life of affairs with the likes of Rock Hudson and James Dean. Supported by his band, Rebel recalls his life as a rock star and the closeted lifestyles of those around him in the original era of ‘don’t ask; don’t tell’. 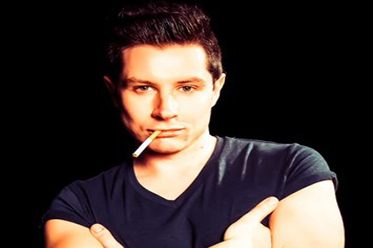 Drew Downing is a regular performer throughout Melbourne as a vocalist, cabaret artist and MC. He is also in demand as a corporate musician and the frontman of twelve-piece big band Drew’s Dirty Dozen. Presenting works at The Butterfly Club, Chapel off-Chapel and live music venues throughout Australia, Drew has also performed in musical productions of Zanna, Don’t!, I Love You, You’re Perfect, Now Change and was the Musical Director for Stage Arts highly successful GREASE 2: Live on Stage. Rob Gaetano’s directing credits include SHIVA for Melbourne Fringe and Hotel Harmony for Short and Sweet. As a theatre maker he has devised two original works: Firefly, for St Martins Youth Arts Centre and My Pet, My Love for La Mama. Rob is also an actor who most recently studied at Ward Studios in New York. He is a graduate of the National Theatre Drama School (2011) and his acting credits range from independent theatre and short films to theatre in education and television commercials. Rob is also Artistic Director of MARC UpProductions. For more information, visit: www.drewdowningrebel.com for details.